Perfect for professional creators, the high performing workstations in the Dell Precision 15 5510 range are truly innovative designs with stunning and powerful features. The 5510 series of laptops have been designed for the most demanding users, and as such are the lightest, thinnest and smallest Dell 15″ workstations available. They offer impressive performance capabilities, with a PremierColor 4K InfinityEdge display and IntelÂ® processors. Designed especially for business applications and advanced graphics, they are suitable for environments where compromising on power really isn’t an option. Overall, this Precision series offers flexibility, security and durability. The InfinityEdge display provides a whole new level of eye-popping detail – there’s over 8 million pixels and 4K Ultra HD resolution. With virtually borderless viewing, the industrial design of these world-leading laptops delivers impressive touch operations and exceptional rigidity. Thanks to NVIDIA Quadro M1000M you will even notice an impressive boost in performance, especially when dealing with professional graphics, complex modelling and rendering. Professionals can easily store, access and transfer complex and large multimedia, 3D and video files with incredible reliability and speed. These workstations have even been ISV tested to guarantee the applications you count on every day always run smoothly. Independent Software Vendor certification covers a wide range of popular software applications. The casings on the laptops in Dell?s Precision 15 5510 series are high-quality and exceptionally crafted. Carbon and aluminium emits a sleek appearance, without compromising the professional look expected across many business sectors. All of Dells Precision models come with MIL-SPEC credentials. These credentials aim to protect the 15 5510 models against dust, vibrations, varied pressures and extreme temperatures. With primary 3-cell Lithium Ion (56WHr) or 6-cell 84W/HR batteries, Bluetooth 4.1, Internal Qwerty Backlit Keyboards and Windows 10 Pro (64bit), the 15 5510 series is truly impressive. As registered Dell partners, ITC Sales stock a range of ex-demo, open box, manufacturer refurbished and new 15 5510 workstations, all at affordable prices. Available for retailers, business and personal users alike, our products are of high-quality and we pride ourselves on offering a fully supportive service. Our partnerships with many major brands mean we can offer you unbeatable prices, as well as technical support and the best value for money. 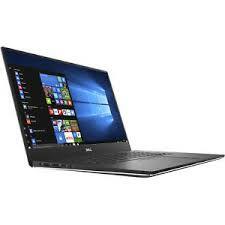 Browse our Dell Precision 15 5510 range today.